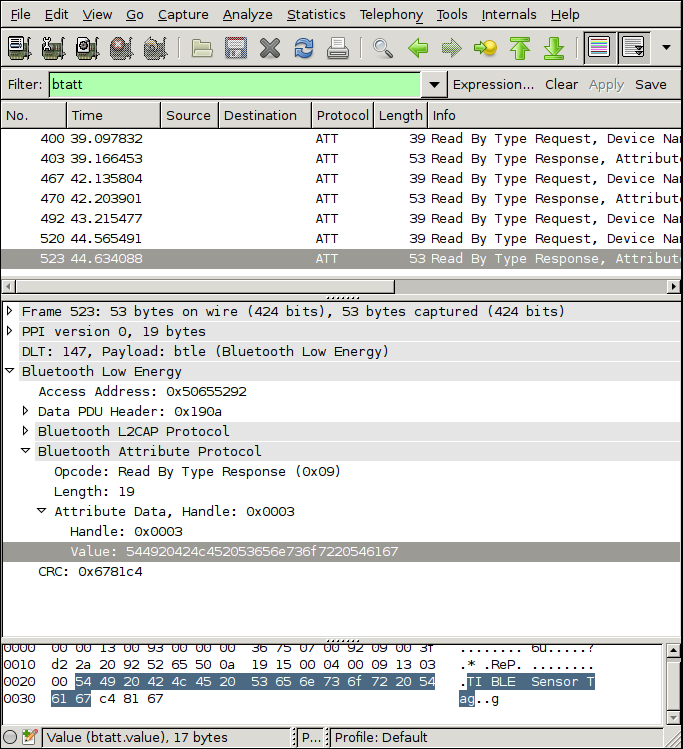 This page documents a WIP plugin for dissecting BTLE (Bluetooth Low Energy / Bluetooth Smart) in Wireshark. Wireshark development build 1.12.0-rc2 includes this plugin thanks to Michal Labedzki! 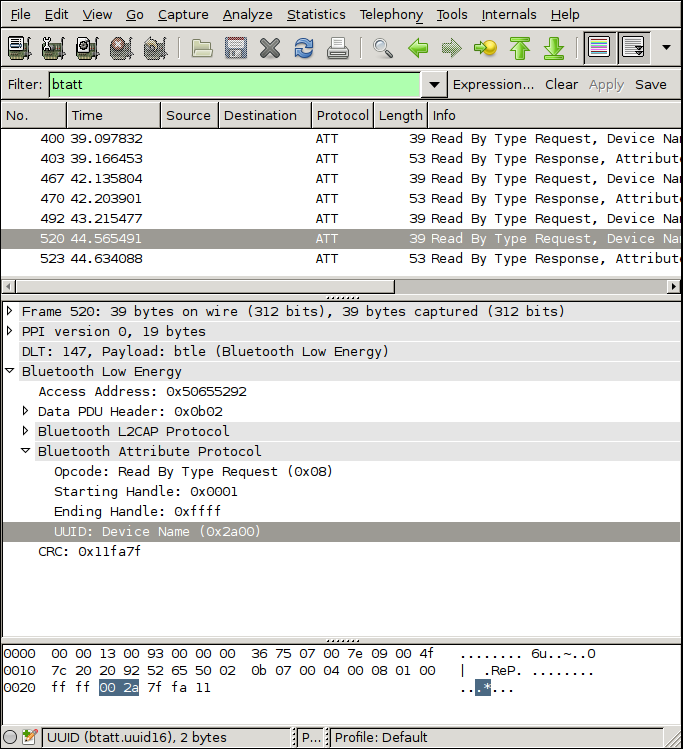 If you are running a very old Wireshark, you may also want the btatt plugin for dissecting the Bluetooth Attribute Protocol. Finally, because this is a WIP plugin we do not have our own DLT. You have to configure Wireshark to use btle to dissect User DLT 0. Here are some sample captures I've made using my Ubertooth. See the included README files for more details. CC2540 board's reply: "TI BLE Sensor Tag"